​Neil Warnock blasted the officials' decision making after Cardiff suffered a late 2-1 defeat to Chelsea under controversial circumstances in the Premier League on Sunday. The Bluebirds had stunned the visitors by taking the lead a minute into the second half and appeared well on course to see out the victory before late drama ensued. Cesar Azpilicueta drew Chelsea level late on before Ruben Loftus-Cheek turned the game on its head in stoppage time.  "It is the best league in the world with the worst officials"
Neil Warnock left fuming after Cardiff's 2-1 home defeat to Chelsea. Replays showed that Azpilicueta was clearly in an offside position as he headed home from a corner to draw the visitors level with ten minutes remaining, but the goal was allowed to stand. 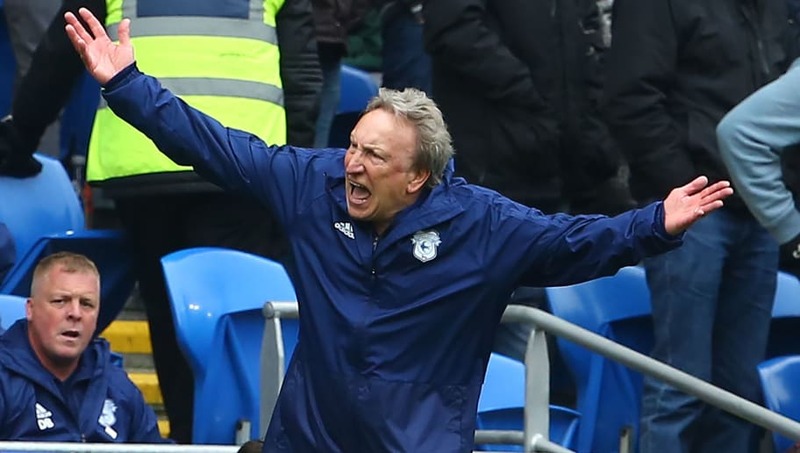 After the game, Warnock told ​Sky Sports: "We were let down by the officials - roll on VAR. "I might be too old by the time we get it, but that's why we need it. The offside [for Azpilicueta's goal] is not even close. We've worked three weeks for this, and we get let down by decisions. "We felt that [Sean] Morrison could've easily had a penalty in the first half and he could quite easily have had one in the second. "Is it me? Is it payback time for me over the many years? Are they thinking, 'let's get him out of the way?' I honestly don't know. "It's the best league in the world with probably the worst officials at the minute. I don't know what Mike Riley does with his linesman, but he'll probably get a game next week. They don't understand what's at stake. "No major decisions went for us. The linesmen don't realise what's at stake. If I was a Burnley, a Brighton or a Southampton fan, I'd be absolutely loving it today - and you can't blame them really. "I've had one kick in the teeth after another this season - the players have as well, but we've always bounced back." The defeat to ​Chelsea has left the Bluebirds firmly in the relegation zone, five points adrift of safety, with further crucial games against ​Manchester City and ​Burnley on the horizon. "I'll probably play the [under] 23s on Wednesday at Man City and get ready for Burnley. We've got some good games left, and as you saw today, we're not going to lie down. "It's like it's not so much who you play but who you've got as the referee and who's going to have a flag in their hand. Nowadays, that's just as important."